I am not normally a baker. It requires too much exactness for my preference. I like to be able to dabble and change and play with the flavors. It changes the chemistry though. Which means cakes flop, caramels are runny, and breads are rock solid. It seems like I can manage cookies, however. These cookies are fantastic! The texture is chewy; the flavor buttery and delicious. The only slight change I might make is to add cinnamon to the next batch. But I won’t have any trouble eating this batch! Preheat oven to 375 degrees. In a stand mixer, cream together butter and sugars. Add eggs and vanilla; mix well. In a separate bowl, mix together the soda, baking powder, salt, and flour. Mix into the wet ingredients until just incorporated. Stir in the oats, pecans, and coconut. Place tablespoonfuls of the dough onto ungreased cookie sheets. Bake for 10 minutes, until lightly browned. 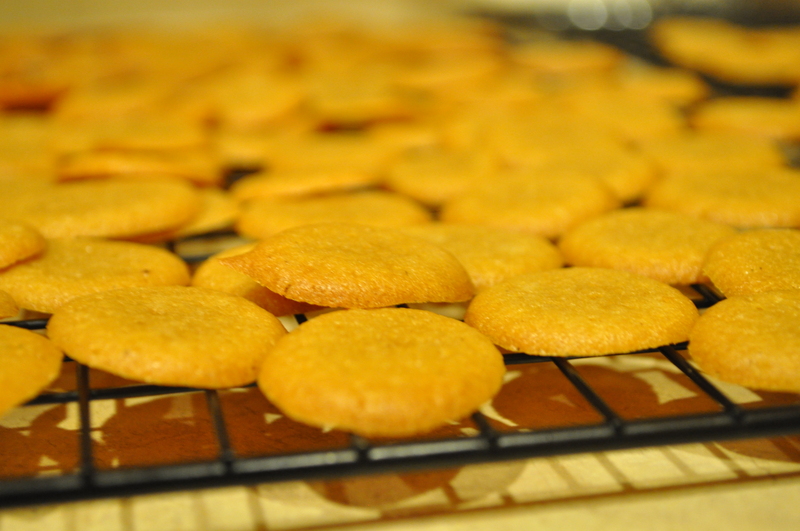 Allow the cookies to cool for a couple of minutes before removing to cooling racks. Makes 40 cookies. NPR featured a story this week about a well loved recipe that was lost and now found. The Brass sisters first ate this shortbread as children but lost the recipe over time. After many years, they found a recipe that they say is an exact replica of the beloved, buttery shortbread of their childhood. The trick to excellent shorbread, they say, is “Always use butter — don’t use shortening, don’t use margarine. It has to be butter.” The sisters got this recipe spot on. Set oven rack in the middle position. Preheat the oven to 350 F. Line the bottom and sides of a 9-inch by 9-inch by 2-inch pan with foil. Grease the foil with butter or coat with vegetable spray. Add flour and salt to a mixing bowl, whisk to combine, and set aside. Cream butter (which should not be soft, but should not be ice cold, either) and sugar in the bowl of a standing mixer fitted with the paddle attachment. Add orange zest. Add dry ingredients, 1/2 cup at a time, beating until completely absorbed and dough comes together. Do not overbeat or shortbread will be tough. Gently pat dough into prepared pan. Prick top of dough evenly about 20 to 25 times. 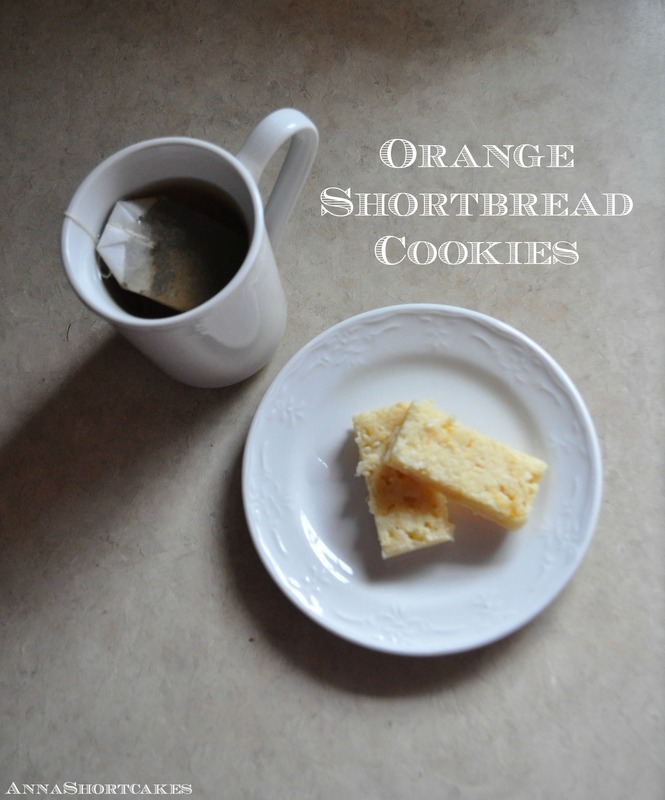 Bake shortbread 35 minutes. Cool on rack for about 20-25 minutes, or until slightly warm. Score shortbread with a knife into 1-inch by 2-inch pieces, but do not cut through entirely. When completely cool, cut into pieces along scored lines. The texture should be sandy and crumbly. Store orange shortbread in a covered tin between sheets of wax paper, at room temperature. Makes about 25 to 30 cookies, depending on how you cut them. I did sit in traffic for about 2 hours before I realized it was better to be safe than sorry. I figured if I can’t walk safety on it, I doubt my car will fare much better. Maybe next year I will be there. But until then, these cookies will just have to soothe my soul. Preheat oven to 325 degrees F. Combine flour and baking soda in a bowl. In a stand mixer, cream together the butter and sugars. Add the egg, egg yolk and vanilla. Mix well. Gradually add in the flour until just combined and a dough ball is formed. Fold in chocolate chips (I prefer the minis). Chill dough for about 30 minutes; this could be a “make ahead” recipe because the dough will keep in the fridge for several days. On an ungreased baking sheet, drop tablespoonfuls of the dough. 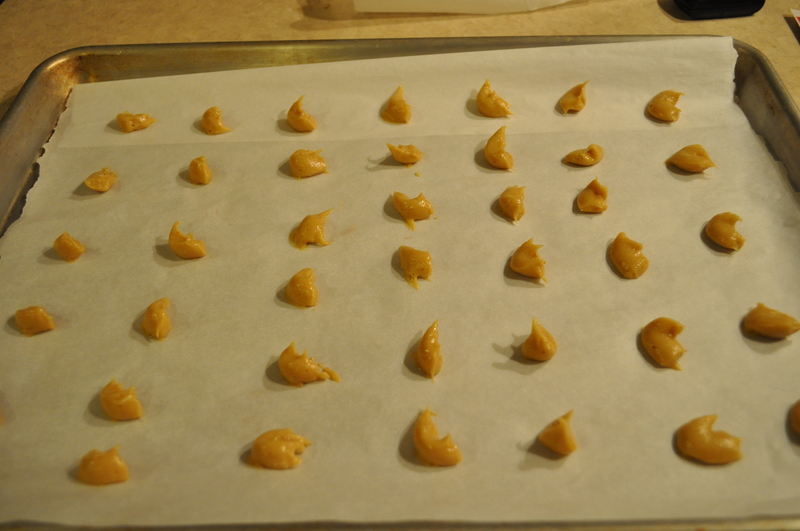 Press pieces of caramels into the cookies. Bake for 10 to 12 minutes until the edges are starting to brown. 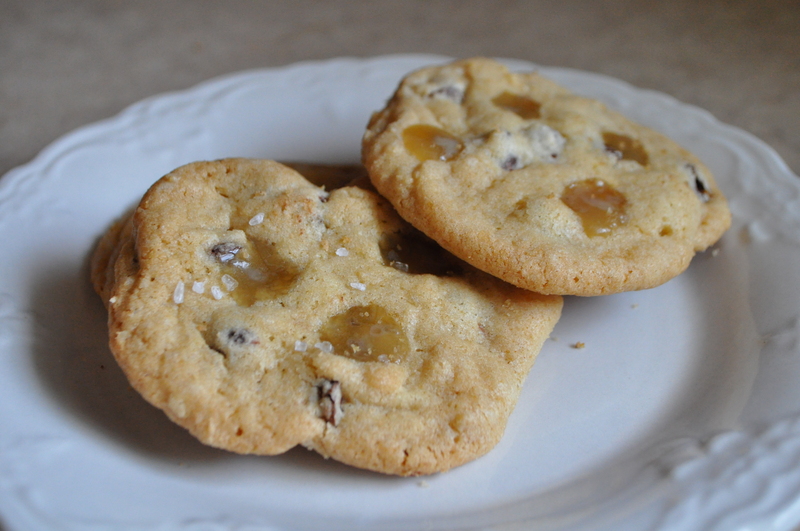 Sprinkle each cookie with sea salt while they are warm. Makes 2 1/2 to 3 dozen. 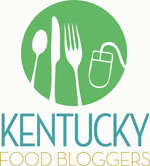 Later this month I am going to FoodBlogSouth 2013. I am so EXCITED!!!! I can’t wait to meet new people, learn new blogging techniques, and find new awesome recipes/flavor combinations. Are you going too? One of the best things about meeting new people is being introduced to their family recipes. Over Christmas I met Kelsey B. 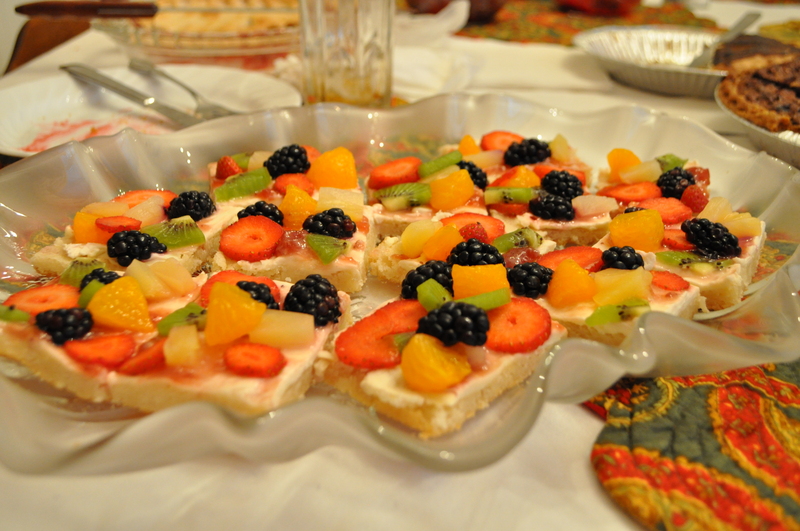 She and her sisters brought a beautiful fruit pizza to our family Christmas dinner. It was such a hit that it nearly disappeared off the platter. The presentation was gorgeous. The bright, colorful fruit was so inviting and refreshing after a heavy Southern meal. It would be perfect for baby showers, wedding showers, work events, family reunions, etc. Preheat oven to 375 degrees. In a greased cookie sheet, spread out the cookie dough evenly. Bake about 14 minutes or until cookies are done. Cool completely. Spread the cream cheese evenly over the cookie crust. Spoon and gently spread jelly over cream cheese. Top with fruit (do not use bananas, apples, or pears as they brown over time). Refrigerate for storage. Here is a great recipe to help you use up all those left over egg whites from making your lemon curd. I made several large batches to give to the neighbors. I hope they like them. On a side note, use a squeeze bottle to pipe the chocolate onto the cookies. I had always heard of doing that but never tried it. It is way better than using a ziploc bag or a fork to drizzle. It is much more controlled and clean up is minimal. Any left over chocolate can just be stored in the bottle. The ease of application and cleanup is definitely worth the $3 for the bottle. In a stand-up mixer, combine sugar and egg whites. Beat until they reach medium peaks. In another bowl, combine condensed milk, coconut, almond extract, and salt. When egg whites are ready, fold in the coconut mixture. 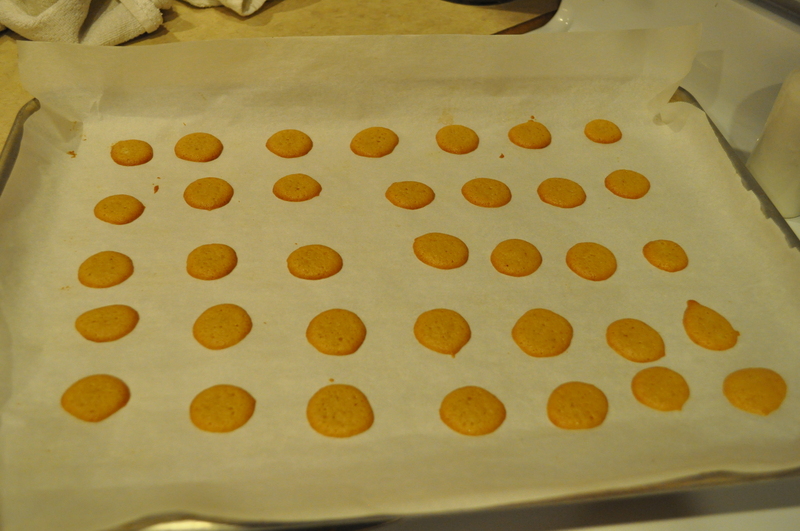 Spoon in 1 to 1 1/2 tbsp amounts onto a parchment lined cookie sheet. Bake in an oven preheated to 350 degrees for 18 to 20 minutes. When done, remove immediately from the pan and onto a cooling rack. When cookies are completely cooled, they can be decorated. In a small saucepan, melt together the chocolate chips and the shortening. Pour into squeeze bottle. Decorate macaroons as desired. Allow chocolate to harden before storing in an air-tight container. 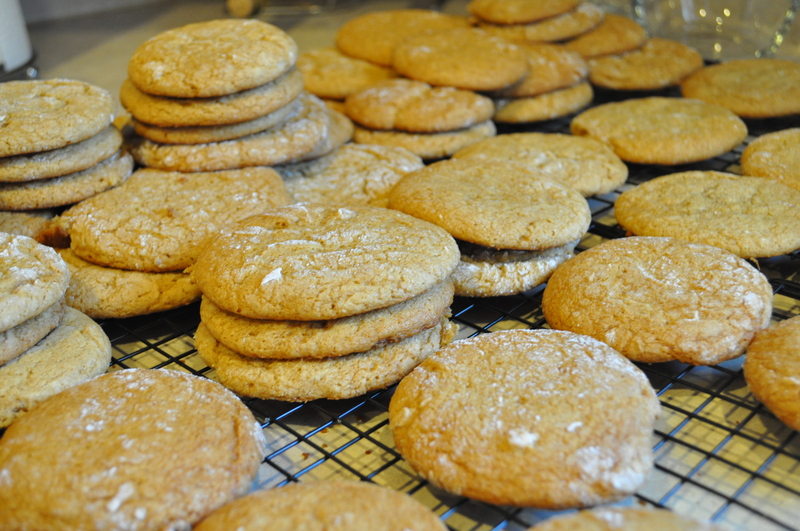 Snickerdoodles are a classic cookie. Nothing could improve on their simplicity. And they are so easy, even young children can make them. 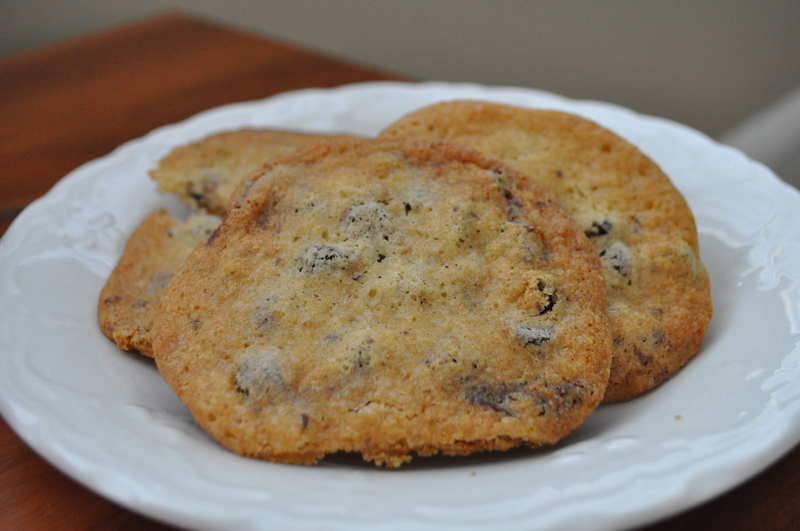 These cookies are a great way to start out the holiday cookie season. Preheat the oven to 350 degrees F. Sift the flour, baking soda, and salt into a bowl. With a standing mixer, beat together the shortening and butter. Add the 1 1/2 cups sugar and continue beating until light and fluffy, about 5 minutes. Add the eggs, 1 at a time, beating well after each addition. Add the flour mixture and blend until smooth. Mix the 3 tablespoons sugar with the cinnamon in a small bowl. Roll the dough, by hand, into 1 1/2-inch balls. Roll the balls in the cinnamon sugar. Flatten the balls into 1/2-inch thick disks, spacing them evenly on unlined cookie sheets. Bake until light brown, but still moist in the center, about 12 minutes. Cool on a rack. Makes 20 cookies. Chocolate chip cookies have always been my favorite cookies. The semi-sweet chips keep them from being overpoweringly sweet; the pecans add a level of complexity not found in cookies without them. I love enjoying them with a fresh cup of hot coffee. Preheat oven to 375 degrees F. Cream butter, sugars, and vanilla in a large mixer bowl. Add eggs in one at a time. Gradually add in dry ingredients. Stir in morsels and nuts. Drop by tablespoon full onto ungreased baking sheets. Bake for 10 minutes or until golden brown. Cool on baking sheets for 2 minutes; remove to wire racks to cool completely. Store in an air-tight container. Very rarely do you encounter sage in a sweet dish. It seems to be used most commonly in savory dishes such as roasted chicken or Thanksgiving dressing. You also don’t usually include crunch in cookie batter. The cornmeal in this recipe adds an appealing texture that is quite unexpected. 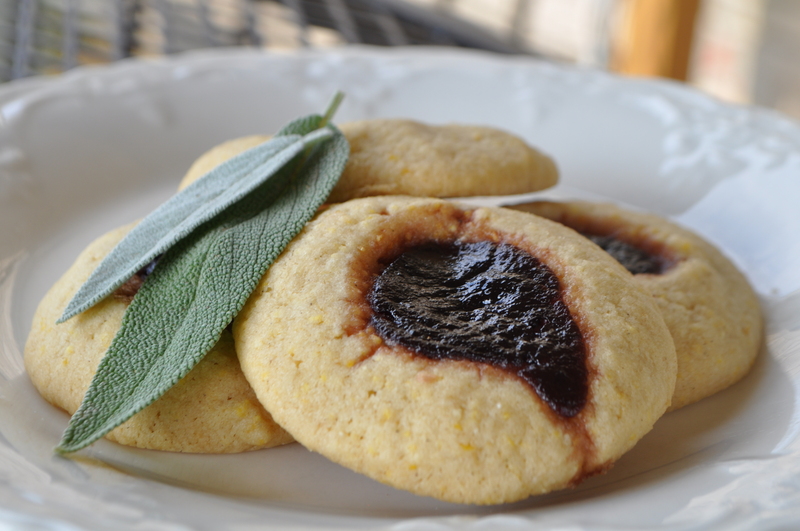 Overall, these cookies are a new, awesome take on dessert that embraces some of the best things in the harvest- berries, corn, and herbs. 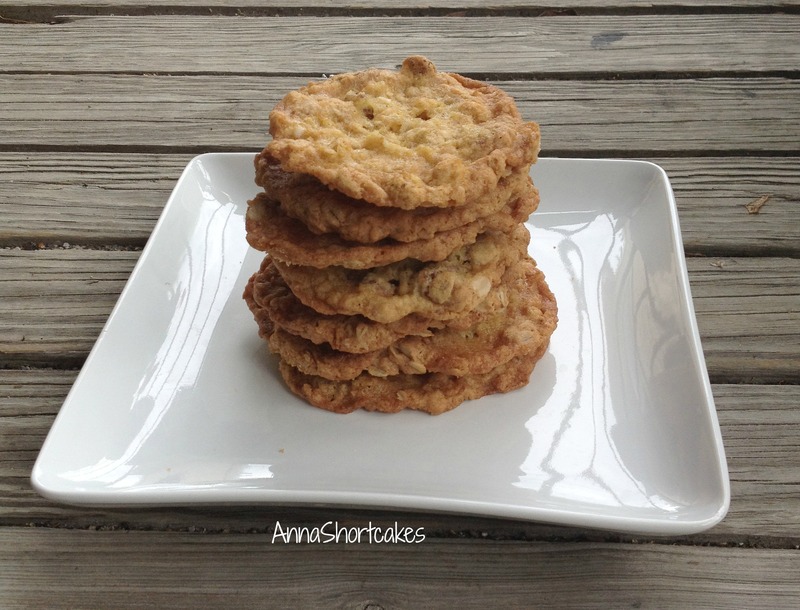 If you are looking for a cookie recipe that is far from typical and big on taste, this is the cookie for you! Preheat oven to 350 degree F. In a medium bowl combine flour, cornmeal, sage, and baking powder. Set aside. In a large mixing bowl beat butter with an electric mixer on medium speed for 30 seconds. Add brown sugar and beat until combined, scraping sides of bowl occasionally. Beat in egg yolks, lemon peel, and vanilla until combined. Beat in as much of the flour mixture as you can with the mixer. Stir in remaining flour mixture. Shape dough into 3/4-inch balls. Place 1-inch apart on an ungreased cookie sheet. Lightly press the tip of your thumb into the center of each ball. Fill the centers with about 1/4 teaspoon blackberry preserves. Bake about 10 minutes or until bottoms are lightly browned. Cool on cookie sheet for 1 minute. Transfer cookies to a wire rack; cool completely. Makes about 60 cookies. These gorgeous cookies are brought to you by Mrs. Myrtle Hicks, the mother of a co-worker and a excellent cook. Some ginger cookies are so light on the ginger you can barely taste it. These go so far they might even be called spicy. I made them this morning to take home for my father’s 50th birthday party. I know he will love them. Sift all of the above ingredients together in a large bowl and set aside. Beat oil and sugar together until well blended; add molasses and beat well (may look somewhat lumpy). Add beaten eggs and mix well. Alternately add the dry ingredients and buttermilk to the sugar mixture, starting with the dry and ending with the dry, keeping out the last cup of dry to mix in by hand with a wooden spoon or spatula. Chill in refrigerator for 30 mins to make handling easier; scoop out about 1 cup at a time and lightly knead on a piece of floured waxed paper or other surface. Form into a log and pinch off walnut size pieces, roll into a ball, keeping hands and fingers floured. Place on baking pan sprayed with Pam. Wipe pan clean with a paper towel after each use and spray with the baking spray before using again. Bake at 350* for 10 mins. If making larger pieces, you may need to increase baking time. Cool in pan for 3 mins then remove gingerbread from pan and place on cooling racks until room temp. Store in airtight containers or zip lock bags. Enjoy! I found these lovely little cookies at Savory Salty Sweet. They are the perfect thing- sweet, spicy, chewy, just a bit of crunchy. They are delectable. The small size means that they take extra time to make but they are so worth it. It’s what makes the texture perfect. Be sure that you make these. You will not be sorry, I promise! Preheat oven to 325 degrees. Line two baking sheets with parchment paper and set aside. Cream together the butter, brown sugar, egg and molasses. Combine remaining dry ingredients in a separate bowl. Slowly add the dry ingredients into the wet ingredients. Mix together until smooth. Add the fresh ginger and stir into batter. Using a pastry bag or a Ziploc bag with a bottom corner cut off, pipe or squeeze out cookies onto a parchment-lined baking sheet in approximately ¼ teaspoon portions. At the end of the batch, I got tired and started making them a bit larger. About the size of a half dollar. Make each dollop about an inch apart so they have room to spread. 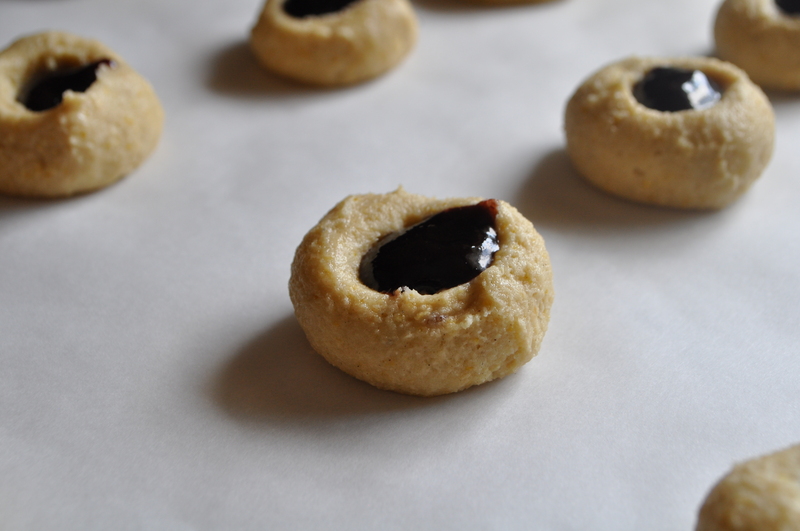 Bake for 7 to 8 minutes, until the edges of the cookies have just begun to appear slightly darkened and dry. Cool the cookies first on the paper. When they are no longer gooey, slip them off onto the wire rack. My batch made about 250 little cookies.